Moving your website from one host to another? Or are you ready to take your localhost site live? Sounds like a big move. But it really shouldn’t be an uphill task if you can follow a few, well documented steps. You can do this with the help of many popular plugins, some free and some premium plugins, all of which will require you to simply follow some on screen instructions whilst all the action goes on behind the scenes. If carried out properly, your website should be functioning from the new server and receiving the normal amount of traffic within hours, without any noticeable downtime. Migration may be required for many reasons – shifting host, cloning a website to your local computer to carry out tests or modifications, or for moving a locally developed site to a live server. Of course, you can choose to hand over the migration process to a professional, or your new hosting service provider may offer migration as an add-on. While these are options that are available to you, you can also choose to do the task yourself with the help of plugins that make the work easier. Backup all your website files at the very start. There are many plugins to do this as well. Make a copy of all the files in your website directory into your local computer. Export your database by accessing the database containing your WordPress install via cPanel and phpMyAdmin and clicking on Export. The database will then be copied to your local computer. Create the database on the server of your new host. Among the files that you have created during the backup process at the start, locate wp.config.php, open it, change the database name, database user name and database password. Save and close the file. Import your database to the new server by accessing it through the admin panel of your new server and clicking on Import under phpMyAdmin. You will be informed when the import is complete. Now you can import all your files into the new database. Change the site URL, so that you are not directed to the old site again. Reconfigure your domain’s DNS settings to point to the new host server. Let’s take a closer look at some plugins that will help us to migrate to new servers! Duplicator is a free plugin that is available for download from the WordPress plugin repository. It is among the top picks with users, developers and site administrators. This plugin will help you pull down a site to your local computer, test it, modify it, and then push it back again to the server. You can move the site to an entirely new location. It has the advantage of cloning your site as well as serving as a simple backup. A setup wizard will help you with the migration process. A zip archive file and an installer are set up and the server is scanned for any incompatibility. A package is then built by the plugin, during which process you can exclude files, database and directories that you no longer want to keep. Another wizard helps in installing the website by unpacking from the package. You can authorize settings and activate plugins. An installation report is generated at completion. Although the plugin rates a whopping 4.9 stars on WordPress.org, the authors admit that certain level of technical knowledge is required at the user’s end, so it may be a good idea to have professional help at hand. Duplicator Pro is the premium version. This comes with added functions like scheduling backups, email alerts, multisite functionality, cloud storage to Dropbox, Google Drive and Amazon S3. The purchase price starts at $39 for the Personal package which can be used with 3 sites and climbs to $119 for Business packages for unlimited sites. All-in-One WP Migration plugin is also a free and highly rated migration plugin. It is self contained, not dependent on any extension, and therefore it is compatible with all PHP hosting providers. This plugin will help you transfer your database and media files, plugins and themes. It supports MySQL driver and new extensions have been introduced to migrate to popular cloud services like Dropbox, Google Drive and Amazon S3. The export of data is done in batches to overcome any upload size restrictions. For higher upload sizes up to 5 GB, you will have to add premium extensions. Two way data transfer is done in chunks of 3 seconds to avoid the plugin from being timed out. This plugin can fix serialization problems and can scale to mobile devices. With premium extensions, you can add features like multisite capabilities, additional storage option and backup scheduling. 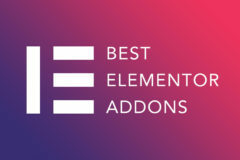 All extensions can be used on any number of websites and come with lifetime updates. Backup Buddy is a premium plugin that is mostly purchased and installed for it’s backup and restore utility. But it is extremely handy for migration as well. The ImportBuddy script will assist in migrating URLs and file paths in all posts and configuration files. By creating a new database and validating it with the database credentials during the import process, you can migrate your WordPress site right from the dashboard. Backup Buddy can handle split size/home URLs as well and is very effective in transferring serialized data. It does not support multisite setups. The typical blogger will have to shell out $80 annually for 2 sites, a freelancer who’s usage may extend up to 10 sites will be set back $100 annually, the developer package costs $150 annually for unlimited sites and the Gold Package comes at a one time payment of $297 for unlimited sites. Updates and support are free for the first year only. For continued updates and support, the membership subscription must be renewed. WP Migrate DB is another free and popular plugin that migrates your WordPress site. It works a little differently from other plugins in that, it finds and replaces URLs and file paths to carry out migration. The plugin runs a find and replace on the serialized data to locate strings. It then serializes the data and puts it back into the database. This feature makes it good pick for developers who need to move data frequently between their local install and live sites. It handles serialized data effectively and saves it on your local computer as an SQL file. After the creation of the SQL file, you will need to use phpMyAdmin to import the file to your database in place of the existing database. During the migration process, you can omit unnecessary files and you can also save the migration settings so that, in future, you can repeat the migration with a single click. A pro version is also available which can do additional tasks like push and pull database in addition to email support, creating versions of backups to return to in the future, pause and resume a migration in progress, and some more features. Packages start at $90 for 12 installs (Personal Package) to $1000 for unlimited installs (Agency). The higher premium packages come with a number of add-ons that can handle media files as well as migrate a subsite of a multisite to a single site install. Updraft Plus is a free and complete backup and restore plugin, while the premium add-on will add cloning and migration capabilities. It is a highly ranked and much downloaded plugin. This plugin can copy entire sites. Manual and automatic backup scheduling are made easy with this plugin. You can have different schedules for backups of files and database. The site can be saved to Dropbox, Google Drive, Rackspace Cloud, Google Cloud Storage, FTP and email. If you don’t want to move the entire site, you can split large sites into many smaller archives and you can selectively backup and restore any component of your site like files, database or themes. The premium version will allow you to backup to Microsoft OneDrive, Microsoft Azure, Copy.com and many more locations. It can migrate backups from some other plugins as well such as BackWPup. For security reasons, database backup is encrypted. An interrupted migration process will resume automatically. The premium version also makes site cloning possible and adds guaranteed support, 1 GB storage in Updraft Plus Vault and multisite compatibility. For use with one or two sites you would pay $70 and for multiple sites $95, while a Developer would be charged $145 for unlimited sites. WP Clone is a great plugin for migrating your site to another location or to change the domain name. It is also effective in backing up and copying your WordPress site. And if you want to create copies and move your website between your local computer and host often (for testing or for development of the site), it is the plugin of choice. It has an advantage over other plugins as it does not use FTP to access the sites in the new or old location. You need to simply install a new WordPress on the new location, upload the WP Clone plugin to that location and activate it. After that, you merely have to follow onscreen instructions. Only the database and content files are backed up during migration, not the WordPress system files. This translates into faster upload times and better security. Not only that, it accesses your site backup using the direct http connection of your host and this mean you do not spend time uploading large files over the internet. The authors recommend that all unnecessary plugins and data be deleted from the site before creating backups. The plugin may also clash with a hosting system that works with a proprietary operating system. This is a free plugin that has been quite thoroughly thought out by the authors. They are making every effort to improve usability and address the issue of migration of larger sites, especially problems in restoring from a backup. An update has been carried out in December 2015 which promises to improve performance. Support for the plugin is via the WordPress user community. Cloner by wpmudev is a niche migration plugin perfect for replicating or migrating your site within a WordPress multisite network. WHy might you want to do this? Multiste is great for hosting a number of similar websites (such as a group of landing pages, or a network of blogs) as well as for staging purposes. And with cloner it’s simple to quire literally “clone” one of your sites. As the name suggests, WPBackItUp is primarily a backup plugin. To be able to migrate your website using this plugin, you will have to purchase the professional version. The plugin is rather easy to use and it creates a zip archive of you entire website and makes it available for download. With the premium version, you can restore and migrate your website to a new location. This can be done right from your WordPress dashboard with a single click. Priority support is also available with the paid version of the plugin. The premium version comes in 3 packages – priced at $79, $99 and $199 with a 30 day money back guarantee. WordPress Move is a free plugin that helps to move your website to another server. It doubles as a backup and restore plugin. With WordPress Move, you can change the domain name, without moving any file. Strictly speaking, this is more of a backup plugin that diligently backs up all your website stuff and keeps it up to date. But it is very effective at migrating a site as well. This plugin comes from Automattic, who’s team is also largely responsible for the development of WordPress as a CMS platform. The plugin connects your WordPress site to the VaultPress servers and using WordPress hooks, the site is scanned for security issues and backed up automatically. When FTP or SSH information is provided, the site is also restored automatically. You can browse backup versions and choose which to restore or migrate. It is a paid subscription service, with plans starting at $5 per month for simple security and backup. But they are one of the best options around! BlogVault is also a paid plugin, intended mainly for backing up websites. The backup is done in real time and is triggered by any new activity on the WordPress site. Backup is also incremental, which lessens the burden on the server. BlogVault comes with a migration feature with which you can move your website with just a few clicks. As backups are stored in BlogVault servers, the migration takes place from these servers. Very large sites an be migrated as the data is chunked during the migration process. The plugin can handle multisites as well, making it a top of the class plugin. The real punch of this plugin lies in its backup function and the price may be rather steep for pure migration function. If you are looking for a plugin that makes it easy to work locally and even easier to push your design to your live site then DesktopServer was tailor made for you. You can see our DesktopServer review on our blog, but just to summarize DesktopServer is an application that configures your local WordPress installation for you (so you can skip all the complicated steps involved with MAMP, XAMPP, etc) and can even clone live sites you’re actively using. But one of the real gems of this app is the Direct Deploy feature (included with the premium version of the app). With this you can easily migrate your localhost site to your live url. Any they even offer an Assisted Deploy Live Service, so if you get stuck the awesome techs at ServerPress are there to help. WP GoLive is a premium WordPress plugin that makes migrating your demo site on your localhost to a live production site easy. This way you can perfect your website on a closed test site and then go live with just one click when you’re ready. Whether you’re creating a new theme from scratch, customizing a theme for a client, or if you’ve decided to add your content locally for one reason or another GoLive can help your transfer your website in a snap. The plugin helps you move all your files to your live site – all you have to do is type in your FTP and database details and click Start. Then you can just sit back and watch the progress bar as your live site is imported. It’s that simple. WP Go Live works by exporting your current database, creating a new database on your new server and then importing your files for you. The plugin also updates all the URLs in the database to match your new one and updates your wp-config file too. WP Go Live is sure to save you some time, freeing you up for more design projects! At this point, you maybe having a fair idea of what migrating a site involves and the extent to which the migration plugins can help you in the migration process. Most of the plugins come close to ticking all the boxes. Finally what you should look for in a migration plugin is that the migration should be completed with no significant downtime, all links must be working just fine and no data should be missing. The plugin of choice may vary depending on the size of your website, whether it is single site or multisite, the frequency of migration and the technical capabilities of the user. For a totally hands off worry free migration, the premium plugins BlogVault or VaultPress are good choices. WP BackItUp may be a good fallback option here. If you do have a certain level of technical skills, you could try Duplicator or even WP Clone. If you want to move data alone, WP Migrate DB would be make for a good choice. Thanks for your awesome article on migration plugins. Migration plugin helps you to migrate your site easily than you do manually. Hope users will get a great guideline from your write-up. Thanks for your nice article on migration plugins. These are necessary plugins to migrate your site from one host to another host.Your sharing will help users effectively.